This lovely bowl was made by Michael Hunter for Twists Glass in 2018 and is part of the new Willow range. 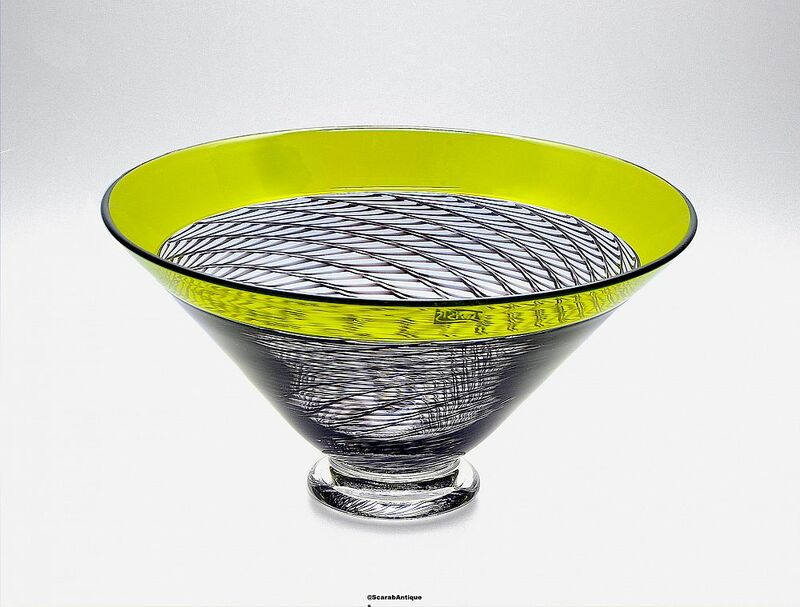 The round clear glass foot supports a black Willow cane vase with a lime green incalmo top. It is scratch signed "M Hunter Twists 2018" and has the Twists Glass studio label.